When writing assignments, reports, research papers or theses, you must acknowledge quotations, information and ideas taken from other authors through a bibliography or list of references. Open the document below to view a list of common APA references (such as the book reference listed below). 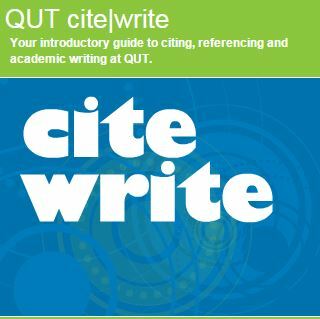 Cite|Write is your introductory guide to citing, referencing and academic writing at QUT. Remember! If you need help with your research, there are people at QUT Library ready to assist you!